Bionic M2M: Are Skin-mounted M2M devices – the future of eHealth? In the popular American TV series that aired on ABC in the 70s, Steve Austin is the “Six million Dollar Man”, a former astronaut with bionic implants. The show and its spinoff, The Bionic Woman (Lindsay Wagner playing a former tennis player who was rebuilt with bionic parts similar to Austin after a parachuting accident) were hugely successful. Modern M2M communication has expanded beyond a one-to-one connection and changed into a system of networks that transmits data to personal appliances using wireless data networks. M2M networks are much much more than remote meter reading. What would happen if the personal appliance was part of the person? Physiological measurement and stimulation techniques that exploit interfaces to the skin have been of interest for over 80 years, beginning in 1929 with electroencephalography from the scalp. A new class of electronics based on transparent, flexible 50micron silicon film laminates onto the skin with conformal contact and adhesion based on van der Waals interaction. 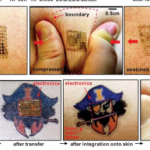 See: Epidermal Electronics John Rogers et al. Science 2011. This new class of device is mechanically invisible to the user, is accurate compared to traditional electrodes and has RF connectivity. 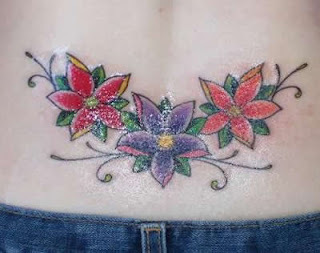 The thin 50 micron film serve as temporary support for manual mounting of these systems on the skin in an overall construct that is directly analogous to that of a temporary transfer tattoo, as can be seen in the above picture. Film mounted devices can provide high-quality signals with information on all phases of the heartbeat, EMG (muscle activity) and EEG (brain activity). Using silicon RF diodes, devices can provide short-range RF transmission at 2Ghz. Note the antenna on the device. After mounting it onto the skin, one can wash away the PVA and peel the device back with a pair of tweezers. When completely removed, the system collapses on itself because of its extreme deformability and skin-like physical properties. Due to their inherent transparent, unguarded, low cost and mass-deployed nature, epidermal mounted medical devices invite new threats that are not mitigated by current security and wireless technologies. Skin-mounted devices might also become attack vectors themselves, allowing a malicious attacker to apply a device to the spine, and deliver low-power stimuli to the spinal cord. 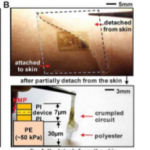 How do we secure epidermal electronics devices on people? Verification means is the device built/configured for its intended use (for example measuring EMG activity and communicating the data to NFC (near field communications) device. Validation means the ability to assess the security state of the device, whether or not it has been compromised. 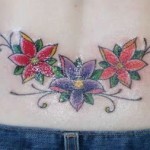 Physical attacks: Reflashing before application to the skin in order to modify intended use. Compromise of credentials: brute force attacks as well as malicious cloning of credentials. What are the security countermeasures against these threats? We can consider a traditional IT security model and a trusted computing model. Very large numbers of low-cost, distributed devices renders an access-control security model inappropriate. How would a firewall on an epidermal electronics device enforce intended use, and manage access-control policies? What kind of policies would you want to manage? How would you enforce installation of the internal firewall during the manufacturing process? A “trusted computing model” may be considered as an alternative security countermeasure to access control and policy management. An entity can be “trusted” if it predictably and observably behaves in the expected manner for its intended use. But what does “intended use” mean in the case of epidermal electronics that are used for EKG, EEG and EMG measurements on people? 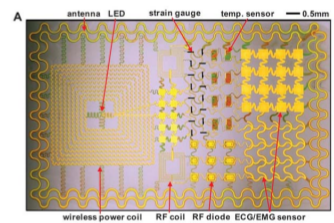 Can the traditional, layered, trusted computing models used in the telecommunications world be used to effectively secure cheap, low-cost, epidermal electronics devices? This is essentially the trust model used for smart cards, where the result of local verification is true or false. Autonomous validation does not depend on the patient herself or the healthcare provider. Local verification is assumed to have occurred before the skin-mounted device attempts communication or performs a measurement operation. The local verification process is assumed to be perfectly secure since the results are not shared with anyone else, neither the patient nor the healthcare provider. We assume that the device itself is completely trusted in order to enforce security policies. We assume that a device failing self-verification cannot deviate from its “intended use”. Device-based security can be broken and cheap autonomous skin-mounted devices can be manipulated – probably much easier than cell-phones since for now at least, they are much simpler. Wait until 2015 when we have dual core processors on a film. In addition, autonomous validation does not mitigate partial compromise attacks (for example – the device continues to measure EMG activity but also delivers mild shocks to the spine). Remote validation has connectivity, scalability and availability issues. It is a probably a very bad idea to rely on network availability in order to remotely validate a skin-mounted epidermal electronics device. In addition to the network and server infrastructure required to support remote validation, there would also be a huge database of RIMs, to enable vendors and healthcare providers define the target configurations of devices. Run-time verification is meaningless if it is not directly followed by validation, which requires frequent handshaking with central service providers, which in turn increases traffic and creates additional vulnerabilities, such as side-channel attacks. Remote validation of personally-mounted devices compromises privacy since the configuration may be virtually unique for a particular person and interception of validation messages could reveal the identity based on location even without deccrypting payloads. Discrimination by vendors also becomes possible, as manipulation and control of the RIM databases could lock out other applications/vendors. Semi-autonomous validation divides verification and enforcement between the device and the healthcare provider. In semi-autonomous validation, the device verifies itself locally and then sends the results in a network message to the healthcare provider who can decide if he needs to notify the user/patient if the device has been compromised or does not match the intended use. Such a system needs to ensure authentication, integrity, and confidentiality of messages sent from epidermal electronics devices to the healthcare provider. RIM certificates are a key part of semi-autonomous validation and would be signed by a trusted third party/CA. Semi-autonomous validation also allows for more granular delegation of control to the device itself or the healthcare provider – depending on the functionality. 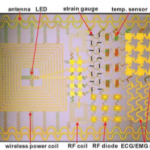 Epidermal electronics devices are probably going to play a big part in the future of healthcare for monitoring vital signs in a simple, cheap and non-invasive way. These are medical devices, used today primarily for measuring vital signs that are directly mounted on the skin and not a Windows PC or Android smart phone that can be rebooted if there is a problem. As their computing capabilities develop, current trusted computing/security models will be inadequate for epidermal electronics devices and attention needs to be devoted as soon as possible in order to build a security (probably semi-autonomous) model that will mitigate threats by malicious attackers. 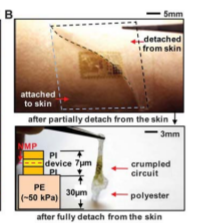 Epidermal Electronics John Rogers et al. Science 2011.